Perhaps you’ve heard the news story that’s brewing this week about a congressional race in Florida where democratic Rep. Alan Grayson fabricated a campaign ad depicting his opponent, Daniel Webster, as “Taliban Dan” for having supported a biblical view of marriage. Yikes! Is that really the way some people view those of us who support God’s design for marriage? More on that in a minute. First to clarify the news story. 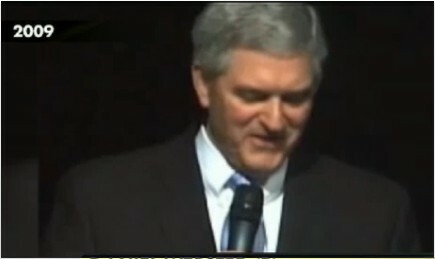 The ad clip apparently comes from a teaching Webster gave on marriage in 2009 (photo above is of him giving that teaching). 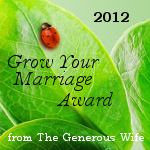 He encourages husbands to journal, presumably about their marriages. Then he says, “Find a verse… Don’t pick the ones that say, ‘she should submit to me.’ It’s in the Bible, but pick the ones that you’re supposed to do. So instead, ‘love your wife, even as Christ loved the church and gave himself for it.” Good stuff. I want to shout Amen! But the ad clipped out everything but “She should submit to me. It’s in the Bible,” repeating the phrase “submit to me” over and over. It was an attempt to paint his opponent as a "fanatical fundamentalist," ultimately equating him with members of the Taliban. Depending on your political leanings you can see a Sean Hannity clip here or an NPR story here, both of which include the political ad in question. This is not meant to be a political post, but I just need to say I could never vote for anyone who would stoop to such deception as using part of someone’s words (the clip was cut in mid-sentence) to make it sound like they were saying the exact opposite of what they were actually saying. It is especially irking that Grayson refuses to back off the ad, despite being confronted with the truth.Oh well, that's politics. What prompted this post, however, is not politics. It is the grief I feel when I see biblical marriage so completely misrepresented and misunderstood. Sometimes I feel like a lone voice in the wilderness, trying desperately to tell the truth in a clear manner, yet frustrated by the drumbeat of falsehood that is so prevalent. I had a similar post back here that was prompted by a Daily Mail (UK) article about a pair of Anglican Church leaders who had the audacity to preach what the Bible says about marriage. It actually spawned an entire series on “The Audacity of the Bridal Paradigm.” You can get to the whole series using the Notable Series sidebar tool. Why is there such a pervasive misunderstanding about biblical marriage? Is it that it has been taught wrongly from the pulpits of our churches? 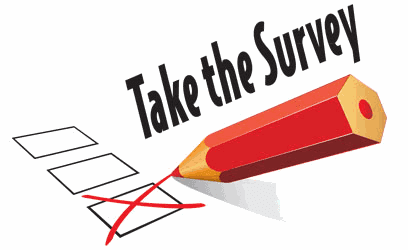 Is it that the topic of biblical marriage has simply been neglected by pastors and church leaders? Is it the history of wrongly applied Christian marriage principles, leading to domineering and controlling husbands using biblical submission as a weapon to subjugate and oppress their wives?I don't really know. Maybe it is all of these. More importantly, what is the remedy for this malady? This cuts to the core of what is now my life’s mission and message and the purpose of this blog. The small group we are leading in our church with a few other couples is great starting point. 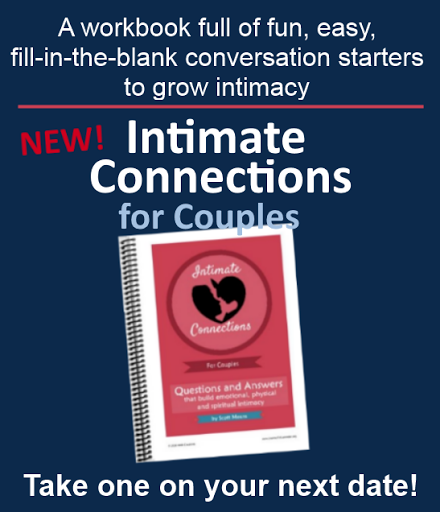 There are also a dozen or so couples also participating by email in an online small group, receiving the same materials and exercises that the real-life group is getting. Will some want to paint me as a fanatical fundamentalist? Probably. Especially if they don't bother to hear what I am really saying; if the ignore the heart of my message. But I sense that this message of the bridal paradigm and of surrendered marriage needs to get out – really get out on a wide scale. It needs to get into the church, into small groups and into the pulpits. It needs especially to be promoted among the next generation, who are growing up without any frame of reference for biblical marriage. In fact they are getting the kind of stuff that Alan Grayson’s campaign put out: distortions and lies. But my heart grieves especially for them, because I think they have an opportunity to learn early the lessons it has taken me 28 years of marriage to get. If only someone will tell them. I don’t pretend that it will be easy. But I do believe that it is essential. I also believe it will pay huge dividends in bringing about the reality that churches should be the place where marriages thrive. If you agree with me, post at least an Amen in the comments section. I need to know I am not completely alone in this!! 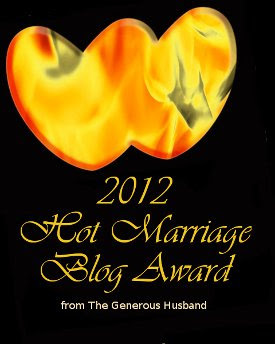 Then maybe pass this blog onto a married friend who could use some help and hope in their marriage. Maybe even send it to your pastor. I am with you. Fundamentally, the issue is about selflessness vs selfishness, and beneath that is the issue of who's in charge - us or God? As a member of the 'next generation', I agree with you that this is an issue that must be better explained. So many of my peers have taken history's bad examples and projected them onto a Biblical truth which they refuse to analyze more carefully. Feminism in practice has been a radical reaction to an a historical abuse of masculinity - neither are an expression of the required selflessness that God desires of both parties in marriage. We can speak the truth, but it takes the Holy Sprit to convict and a willing heart to submit. Keep speaking the truth, though! It does have an impact. John, thanks so much for your positive comment. So glad to hear that there are those in the next generation that are paying attention to such important issues! Blessings! It is refreshing to the Biblical perspective on marriage explained so clearly here. The church has been failing to teach this, in my experience. Trying to retro-fit this into an 18-year marriage is not going to be easy. Amen! Thank you for being the voice that cries out for this oh, so important topic. And amen!